Tastefully presented three/four bedroom barn conversion located in the stunning rural location of Whiston. 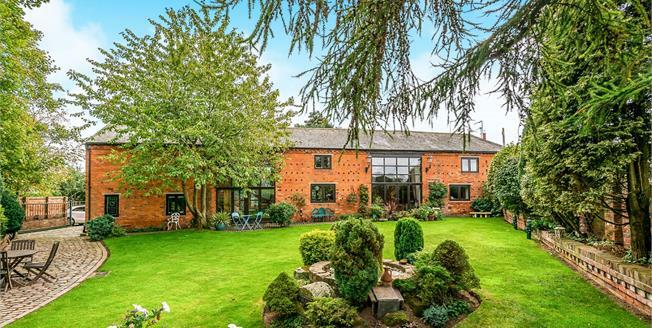 A short drive away from the county town of Stafford, This historic town offers a wide range of amenities and facilities for a family including excellent transport link via the M6 motorway and Stafford Railway Station with direct links to London Euston with in one hour and fifteen minutes. The location of this wonderful home also provides good access to the market town of Penkridge with a good range of shops, local station with free parking and restaurant and bars. The property comprises of lounge, kitchen, dining room, bedroom with en-suite utility room, WC and double garage. To the first floor there are two bedrooms both benefiting from en-suite bathrooms. The second bedroom also has a walk-in wardrobe and option for use as additional bedroom and good sized loft space. And two mezzanine areas which are currently being used as a library and office spaces. Outside the property there is a good sized private garden and driveway providing ample parking. Viewing a must.